At a moment in time where everything is mass produced and often people’s tastes hinge on recommendations produced by algorithms, there are few designers focused on creating work that is truly unique. There are not many who have mastered the process of creating work that is essentially timeless, in the way Issey Miyake and Trippen have either. Trends are the least of their worries as they continue to craft silhouettes that go beyond predictions for the upcoming seasons. Whether it’s due to the unique processes they utilize or the way they consistently experiment with materials, there is something truly artistic about their perspectives, which is in part why both of these brands are so successful. 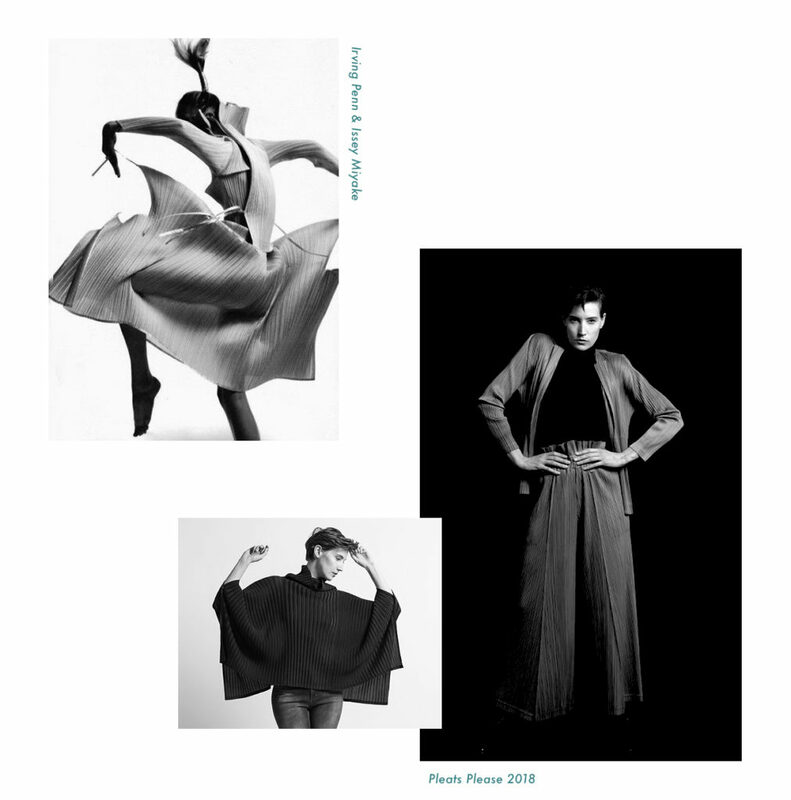 Issey Miyake has often been called an “architect of fashion”, ever since the brand’s initial experimentation with permanently pleating fabrics. Known for creating clothing with strong lines and dimensionality, items within his main line and Pleats Please continuously stray from the norm. His work has also been tied to many forms of art, through past collaboration with Artemide, or an ongoing collaboration with Ikko Tanaka that is in it’s fourth installment since 2016. Through these many influences, Issey’s work often overlaps with the world of art and architecture. It is no surprise that some of the most recent releases in Pleats Please feature prints that are artistically inspired by the Nebuta Festival, with a focus on color and the replication of a traditional dyeing technique called roketsu-zome. The draping of material in Pleats Please when worn, evokes the feeling of becoming a sculptural work of art. Wearing an item created by Issey means feeling like you belong in a museum, as though you’re suspended in time. The way each garment drapes over your body is different from any other fabric. 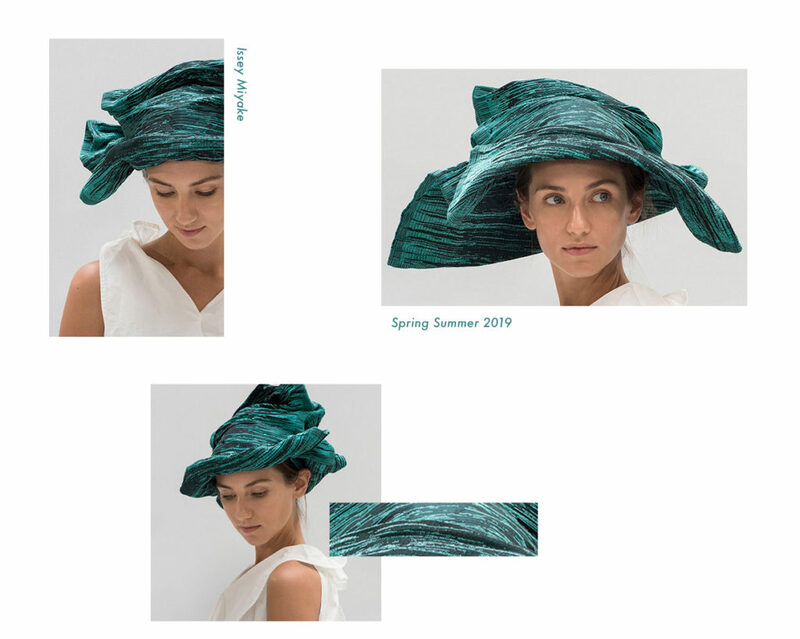 And, as someone who is continuously pushing the boundaries with fabric technology, it’s evident that his collection for Spring 2019 would also feature new material. Aptly called “Dough Dough,” this new fabric they debuted allows a new level of creativity at the hands of the wearer. Unlike his previous work which is permanently pleated, this fabric is malleable. Used in many of his garments for Spring 2019, this urethane mesh allows the wearer to mold it however they please. It’s easy to see how this can enable endless possibilities, giving people the ability to reimagine their wardrobe a thousand times over. It is through this constant experimentation and a myriad of influences, that Issey Miyake has captured the attention of many. His focus on the way that clothing and sculpture relate to the body transcends the creation of designers who focus purely on the moment. 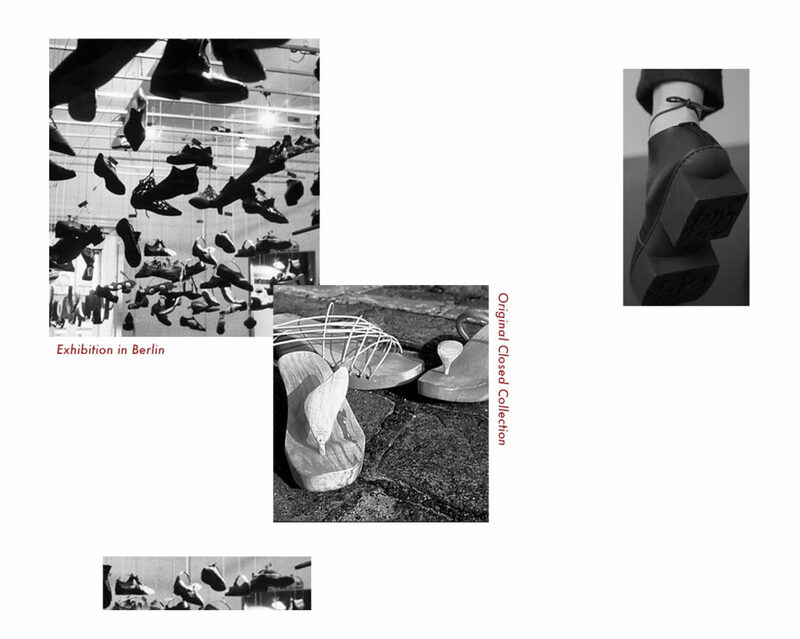 Angela Spieth and Michael Oehler designed their first pair of shoes after becoming inspired by wooden soles from the seventies. In 1992, they presented their first 60 pairs to an art gallery in Berlin with great success. Unique soles, unconventional pattern techniques, and iconic silhouettes have become hallmarks of Trippen since then. Designed to be avant-garde and virtually timeless, their footwear is entirely unheard of with eccentric and artistic details. Since their origin at a gallery in Berlin, Trippen have always been involved in art in some form. The creation of P100, their collaborative project space, was intended to provide a creative space for up and coming talent as well as established artists. Most recently, they have featured an exhibition titled, Slow Speed. 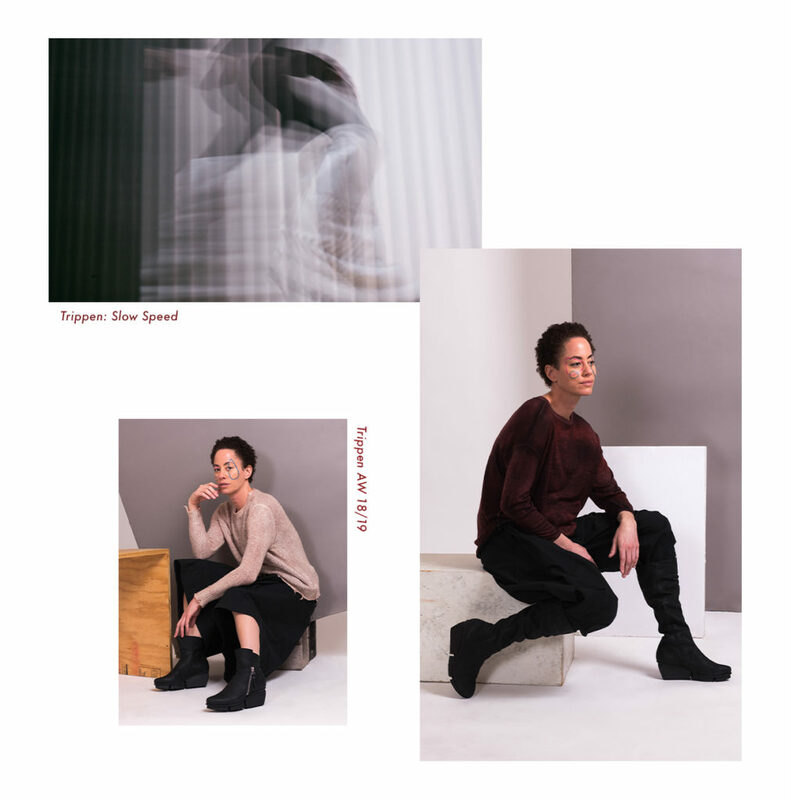 Inspired by Trippen’s AW 18/19 collection, Slow Speed contains installations that are a reflection of today’s fast paced digital world, and the need for “slow realness.” When curated shopping supersedes the journey to self discovery, it appears we become a product of that very algorithm. Trippen wants to break away from that, by designing shoes that move beyond the projected trends for each season. Adhering themselves to high ethical standards and ensuring that every employee is valued and paid fairly, they guarantee that their shoes are made to last, allowing them to grow with their wearer as they travel in life. By establishing their own rules in the creation of shoes, Trippen has made a name for themselves. And, should you find that none of their shoes fit your vision, you can order shoes customized to your liking — almost like you’re creating your own work of art. Trippen have always aspired to go the extra mile, surpassing common fashion “rules”. With over 2000 models permanently available in 30 different materials and colors, their footwear has something for everyone. If you can’t find what you’re looking for, you can create it. With the ability to play an essential role in the creation of your clothing, anything is possible.